Nurturing neuronal connections can protect your memory and help you stay mentally alert. 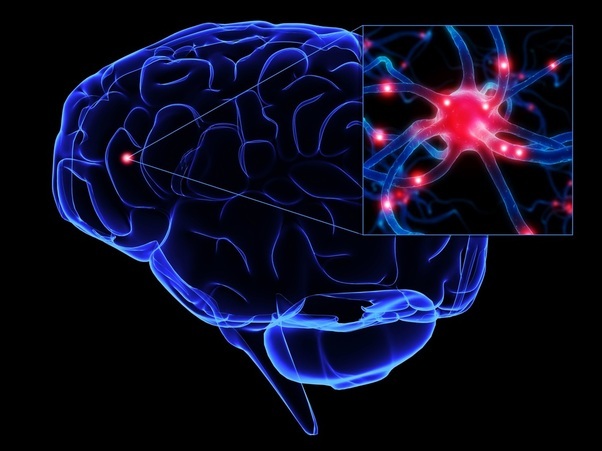 A sharp mind and strong memory depend on the vitality of your brain's network of interconnecting neurons, and especially on junctions between these neurons called synapses. Since many of the brain changes that accompany aging and mental disorders are associated with deterioration or loss of synapses, learning ways to strengthen and protect these important connections may help you delay or avoid cognitive decline. There are trillions of synapses in the brain: Each one of our more than 100 billion neurons may be connected to hundreds of other cells by as many as 10,000 synapses. Together they form a complex and flexible instrument upon which the music of our thoughts, behaviors and feelings is played out. Research has established that, among its many functions, the synapse plays an important role in learning and memory. New information is absorbed and retained through a process characterized by changes in synaptic interconnections among neurons in the hippocampus and cerebral cortex, regions of the brain associated with memory. But the ability to learn and remember, along with other mental and emotional processes, can be influenced by the effects of lifestyle and environment on the synapses. Studies suggest that neurons that are adversely affected by factors such as stress, lack of stimulation, or neurotoxins may be hampered in their ability to form new patterns of connectivity and may lose synaptic connections. Maintaining brain cells and synapses in good condition is critical, since mental performance is totally reliant on the health of the brain's complex network of trillions of synapses. Deterioration or loss of synapses can result in changes in mood and cognition, and in alterations of brain functioning such as those associated with neurological disorders or aging. Stress is a major cause of synapse dysfunction.. Research shows that prolonged exposure to stress can interfere with the function of neurotransmitters. Excessive amounts of the excitatory neurotransmitter glutamate may accumulate in the synapse. In high concentrations, glutamate becomes a toxin that can interfere with learning and cause cell damage in the brain's memory regions. Research presented at the 2006 American Psychological Association convention suggests that repeated stress remodels the brain and causes neurons in the hippocampus and prefrontal cortex to shrink. Stress can also lead to depression, which is associated with memory difficulties. A number of studies suggest that lack of stimulation is associated with a reduced number of synaptic connections in the brain, a factor that may increase vulnerability to Alzheimer's disease (AD). For example, scientists who used an electron microscope to compare post-mortem brain tissue from the prefrontal cortex of 16 subjects found that those whose professions required greater amounts of skill or education had 17 percent more synapses for each neuron than those with less education. Another study suggests that seniors who enjoy a variety of intellectually challenging activities (such as playing a musical instrument, solving puzzles or reading) have a lower risk of developing dementia. It is thought that the larger number of neuronal interconnections associated with regular intellectual activity may provide extra insurance against cognitive decline. The synapses are vulnerable to neurotoxins, as well. Excessive alcohol consumption, exposure to certain pesticides and heavy metals, and to drugs such as phencyclidine (PCP) and ketamine can cause memory problems and synaptic loss. The toxin from the bacteria that causes poisonous botulism acts directly on the synapses by blocking transmission of neurotransmitters, as does the deadly toxin curare.